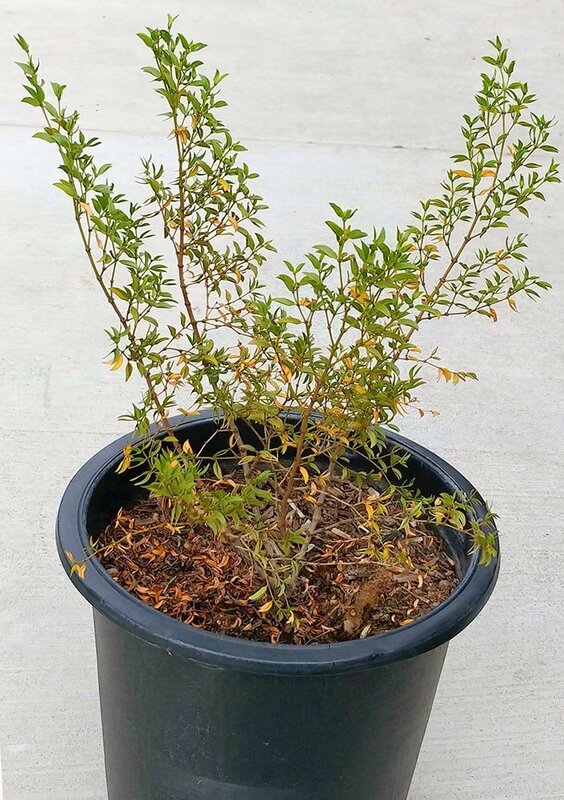 Large shrub with small tough green leaves and tons of yellow flowers in late spring. Very drought tolerant. A little water in summer and they are perfect patio plants, easy to prune to shape.